Use this the Letter N Printable Poster to display on a classroom wall and teach the correct letter formation from the beginning. 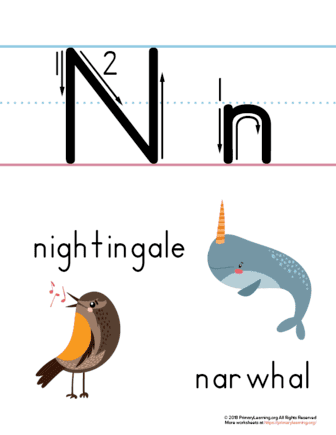 The poster has animals starting with this letter: narwhal and nightingale. Lamination is recommended for durability. This worksheet is designed in Zaner-Bloser Style.